One of the best things you can pin to your jacket! Bright image and nice size. Nice pins to a good price! Great pins, got them here quick. Awesome value! 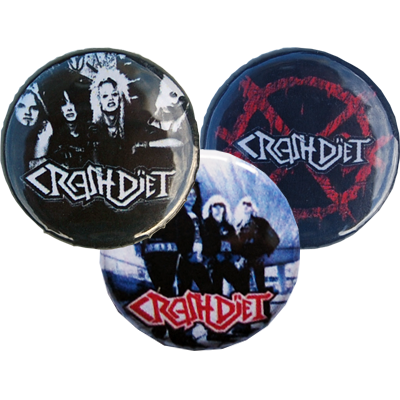 Great badge pack, will look good on my new denim jacket, along with all the Crashdiet patches I've purchased previously. See all 30 customer reviews.